Rajinikanth also said that the political system of Tamil Nadu needs to be changed as it is in a bad condition. The iconic Rajinikanth is beyond any doubt one of the most revered names in Indian cinema today. He enjoys a strong fan following thanks to his down-to-earth nature, flamboyant onscreen image and perfect family life. Moreover, fans adore him as he is a self-made star in the truest sense. Now, he is in the news for an awesome reason. In an exciting development, ‘Thalaiva’ just confirmed that he will indeed be forming his own political party and entering the world of politics. He further added that he will be contesting the next Tamil Nadu state assembly elections and fielding candidates from all 234 constituencies. Speaking about the political situation in TN is ‘miserable’ and needs to be changed at the earliest, he said. The superstar also said that he is not craving for power and is entering politics just to bring about a positive change. Well, this is a major announcement and is bound to create a buzz in the political circles. Interestingly, Rajini’s political game plan has been a topic of discussion for a while now. Sometime ago, a source had said as he is neither a leftist nor a hardliner, the party will follow a centrist ideology. Similarly, a noted writer had said that he is going to stay away from the caste-based politics of TN. He had also said Rajini’s films do not reflect his political ideologies in any way. “People like his subaltern style and identity. In movies, Rajini is just playing the roles that his directors give him. Ranjith is a known Dalit activist and his movies are bound to have undertones of Dalit resurgence. 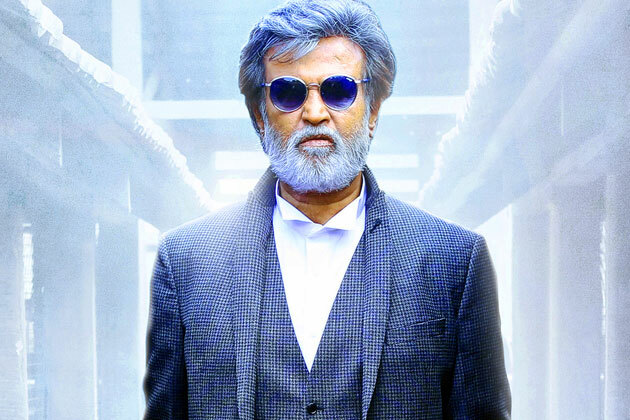 ‘Kabali’ was a reaction to the 2012 Dharmapuri caste clashes. They do not reflect Rajini’s political thoughts or plans, “the writer had told a leading daily. On the work front, Rajini currently has ‘Kaala’ and ‘2.0’ in his kitty. ‘Kaala’ is a crime-drama and has been directed by Pa Ranjith. In it, he will be seen essaying the role of a gangster. The film also has Huma Qureshi and veteran actor Nana Patekar in the lead. As far as ‘2.0’ is concerned, it is a sci-fi thriller and has been directed by S Shankar. A sequel to the 2010 release ‘Enthiran’, it will see him reprise his Chitti character from the first part. Besides Rajini, it also has Akshay Kumar in the lead. Akki will be playing a negative role in what is the first Tamil film of his career.